New York is the theatre capital of the world, with Broadway in the center of that world. Any visitor to New York has a wish to take in at least one performance at the world-renowned stages of Broadway. This October brought in the revival of a comedy play by one of the best known playwrights in the United States. Neil Simon’s popular play, Brighton Beach Memoirs previewed at the famous Nederlander Theatre on October 2, 2009 and later opened at the same venue on October 25, 2009. The preview was very well accepted by the theatre goers. New York offers a variety of entertainment. Broadway, of course, needs no special mention as Broadway and theatre entertainment in New York are synonymous. Broadway is in the theatre district which stretches from 42nd to 53rd Streets between the 6th and 8th Avenues. New York offers entertainment galore. It is a great place for tourists and for those who wish to absorb a dose of American culture in general and New York culture in particular. Keen sportsmen can watch their favorite sport live in the many stadiums spread all over the city. Some sport or the other is always on. For the issue of where to stay, variety of hotels are available depending on what you can afford. For theatre enthusiasts, The Brighton Beach Memoirs New York play was worth watching, especially as this was a revival production. The comedy was originally performed on Broadway way back on March 27, 1983 at the Alvin Theatre. This is a story of a 14 year old, Eugene Jerome, living in Brighton Beach, Brooklyn with his family. Set in 1937 in the post depression era, the story is near autobiographical. 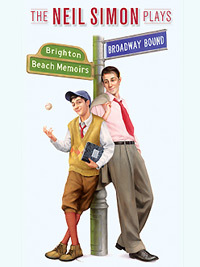 Brighton Beach Memoirs is the first part of the trilogy that consists of Biloxi Blues and Broadway Bound. Alexandra Socha as Nora Morton. Eugene Jerome, a Polish-Jewish teenager lives with his father, Jack; his overbearing mother, Kate; his older brother Stanley; his widowed aunt and Kate’s sister Blanche; and Blanche’s daughters, Nora and Laurie. The story is about how he deals with his family, his puberty, his sexual awakening, and his search for an identity. Despite the original play running for all of 1,299 performances; despite the positive critical reaction the previews received; despite the performance of the cast being well accepted; on November 1, the producers of Brighton Beach Memoirs stopped the production abruptly after just 9 performances and 25 previews; along with its related production, Broadway Bound, which was to preview on October 25. This came as a shock to the theatre community in Broadway. No reasons for the decision were given by the producers of the Brighton Beach Memoirs New York play though it is rumored that the ticket sales had hit rock bottom. You can view a great selection of Brighton Beach Memoirs New York tickets by clicking the link.